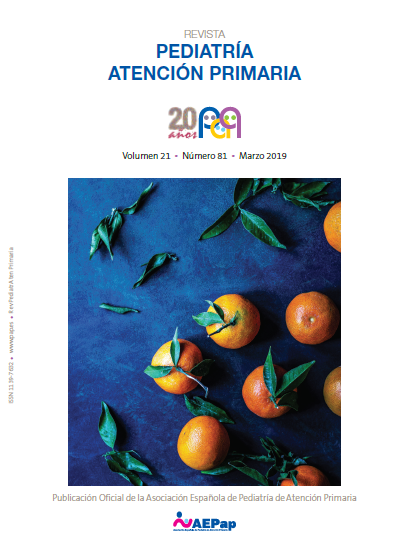 Articles containing keyword "Preventive activities"
Esparza Olcina MJ, Colomer Revuelta J, Martínez Rubio A, Mengual Gil JM, Merino Moína M, Pallás Alonso CR, et al. The analytic framework in USPSTF recommendations development. Rev Pediatr Aten Primaria. 2017;19:177-82. Colomer Revuelta J, Cortés Rico O, Esparza Olcina MJ, Galbe Sánchez-Ventura J, García Aguado J, Martínez Rubio A, et al. Recommendations on the advice for the prevention of sexually transmitted infections in adolescents, held in the outpatient pediatric primary care. Rev Pediatr Aten Primaria. 2014;16:237-45.